These double pedestal rectangular picnic tables provide stable support with two 4" pedestal frames located at both ends of the tables and benches. 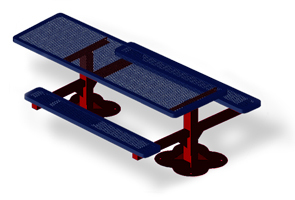 The punched steel top and seats with round corners are smooth to the touch for extra comfort. 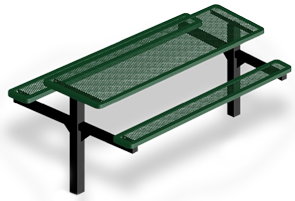 The # 11 ga. punched steel top and seats are coated with a lightly textured Polyethylene finish in a variety of colors with excellent weather protection that will maintain its finish for years. All models are available in an in-ground or surface mount, including the ADA approved models with one overhanging side for universal access. 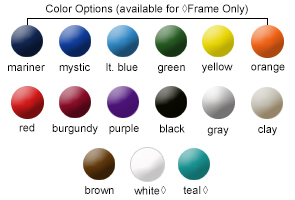 Optional sleep inhibitors for the thermoplastic coated table top and seats are also available in a powder-coat finish.